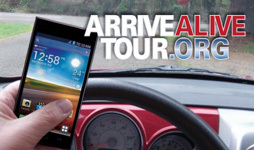 (VIDEO) The tour educates the public about the dangers of intoxicated driving. Texas Tech is committed to the safety and wellness of all Red Raiders. This goal is best achieved when we all play a part in creating a community of care for our fellow Red Raiders and a campus climate that is welcoming. Safety and wellness are shared responsibilities of students, faculty, and staff on our campus. When we say "I am a Red Raider!" we are committing to being part of the TTU Family.